On Wednesday, the French parliament passed a long-debated law that will end Amazon.com’s ability to offer a combined 5% discount and free shipping on books shipped to France, according to Livres Hebdo (as translated on Frenchculture.org). 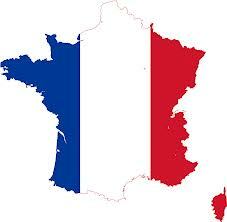 France’s fixed book price law, dubbed “The Lang Law,” was passed in 1981 and allows for a maximum 5% discount under varied positions. “The ‘Anti-Amazon Law,’ was created to prevent ecommerce sites like [the American giant] Amazon from stamping out the iconic network of independent French bookshops that currently struggle to compete,” wrote Livres Hebdo. France has some 3,500 bookshops in France, including 800 independent stores. This entry was posted in Publishing and tagged amazon, bookselling, bookstores, France, government on June 30, 2014 by First Edition Design Publishing. First Edition Design Publishing is the world’s largest eBook distributor. Learning to write well is a process, and there is so much to consider—from story structure to the words you choose. In self-publishing circles, there is a lot of discussion about perfecting plot, characters, and dialogue—the elements of story—but comparatively little airtime is given to the building blocks of stories: words. Sometimes, the words we use can clutter our writing and jolt the reader out of the story. Strunk & White calls these words “needless words.” That’s good news. If these words are needless, we don’t need them, and if your writing will be better without them, the solution is simple! So, what are needless words? In a nutshell, any word that can be deleted without altering the meaning of a sentence or threatening correct grammatical construction is a needless word. Strunk and White list some examples in the Omit Needless Words section of their famous style guide. Janice Hardy’s Words to Avoid list is another terrific resource for learning which words you can do without. Hunting down needless words is an easy way to clean up your writing because it often requires nothing more from you than to find the offending words and press the delete button. Excise these words from your writing and you’re well on your way to communicating clearly. I know what you’re thinking… Do I have to pick through every word in my 300-page book?You can, but I’m not suggesting that you find needless words manually in a word-by-word manner. Oh, no. There are tools for that. Nowadays, simple tech tools can help you root out those words that muddy your writing. Below, I’ve listed two tools that authors can use to polish their prose: one for Word users and the other for Scrivener users. In Microsoft Word, you can use a simple highlighting macro that will hunt down and highlight all of the needless words in your book in a matter of minutes. I call it the Needless Words macro, in honour of Strunk & White. You can then decide how to address those highlighted words (delete them!). 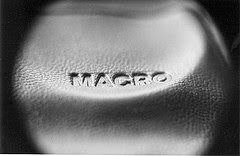 You can find the Needless Words macro at Tech Tools for Writers. Scrivener’s Word Frequency tool is less sophisticated, but still worth a mention. 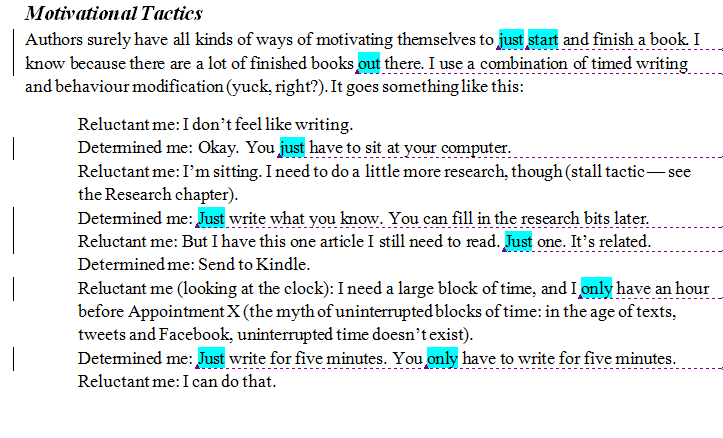 It doesn’t highlight needless words, but it indicates words you may have overused. You can then use Scrivener’s Find and Replace function to find and scrutinize those words you’ve used most. 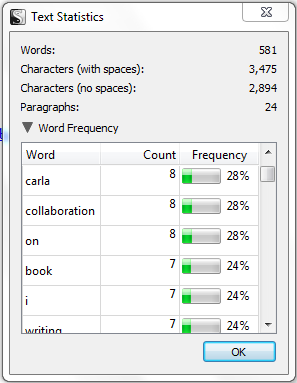 In Scrivener, you can find the Word Frequency tool by going to the Project, Text Statistics, Word Frequency. Scrutinizing words is best left for the revision stage of writing, after the the big-picture elements and paragraph-level elements have been addressed. Taking the time to give your writing attention at the word level will ensure a smoother read for your readers. This entry was posted in Publishing and tagged improving your writing, macros, Microsoft Word, proofreading, Scrivener, Word, writing tools on June 25, 2014 by First Edition Design Publishing. It appears that Abbott Press will now be run directly as yet another Author Solutions brand but Writer’s Digest and F+W Media will have no further connection with it. 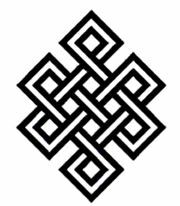 This is a huge partner for Author Solutions to lose – the biggest so far by some stretch. This entry was posted in Publishing and tagged Abbot Press, Author Solutions, David Gaughran, Writer's Digest on June 23, 2014 by First Edition Design Publishing. The Future of Ink article by Shelley Hitz Getting reviews for your book is an essential part of the publishing and marketing process. However, there are many misconceptions authors have regarding book reviews. In this post I address the5 common myths about getting reviewsfor your book. Reviews are important and research has actually shown they do impact buying decisions. A research study conducted by Dimensional Research showed that 90% of customers reported reading positive reviews online impacted their buying decisions.In the same way, 86% of customers said reading negative reviews online impacted their buying decisions as well. Tip: Make sure you don’t ignore this important step of getting honest reviews for your book. They have more impact than you may realize. As an author, it is important understand each retailer’s terms of service regarding reviews. For example, Amazon prohibits authors from reviewing a competitor’s book that would be seen as a “directly competing product.” Tip: Even though “directly competing” authors are unable to post reviews for you,you can ask them for endorsements. You can then put these endorsements in the beginning of your book as well as in the “Editorial Reviews” section on your sales page. You may think that you have to spend a fortune to give out review copies of your book. First, you have to pay for the print book copies and then you have to pay to have it shipped to your reviewer. If the reviewer is international, the shipping will be even more expensive. Tip: However, you can significantly cut your costs by sending out eBook copies to reviewers. You can send out PDF, mobi, and/or epub copies of your books to most reviewers. You may still want to send print copies to certain high profile book review bloggers and/or potential endorsers for your book, but most reviewers will agree to review a digital copy of your book. When writing, publishing, and marketing your book it is good to know upfront that you will get both positive and negative reviews.After pouring your time and talent into your book (and some of your hard earned money), it is natural to want to see all 4 and 5 star reviews. However, the reality is that you will NOT please every reader who buys your book. Even the very best authors still get 1, 2, and 3 star reviews on their books. Even the very best authors still get 1, 2, and 3 star reviews on their books. Sometimes negative reviews can actually be helpful.You may think that no reviews are better than bad reviews. But if your book has all 5 star reviews, people may think all your reviews are from supporters: your family and friends. Tip:We encourage you to not be afraid of getting negative reviews. Expect that they will come and then move on. If you have written a good book, good reviews will continue to come in faster than the bad reviews and your overall rating will still remain high. This entry was posted in Publishing and tagged books, myths, publishing, readers, reviews on June 17, 2014 by First Edition Design Publishing. BookReels, an MTV for Books? BookReels, a dedicated interactive website that allows publishers and authors to post multimedia visuals ranging from animated book covers to trailers, is now available for readers as a unique way to preview and browse books. The founder and CEO of BookReels is Dan Rosen, a screenwriter and director who has worked on a number of book trailers. With his friend CV Herst, a writer and tech entrepreneur, the Los Angeles-based duo came up with the idea to create a website where authors and publishers could easily promote themselves, through visual means, and simultaneously sell their work. Registration on the site is free, and BookReels members have access to 3,000 trailers and author interviews, as well as the option to purchase books through either IndieBound or Amazon. “What MTV did for music videos and record sales, BookReels wants to do for book trailers and book sales,” Rosen said. The site includes over 20 book categories. The most popular category is young adult fiction, which features hundreds of trailers, author interviews, and live readings. The adult fiction category is the second most popular category. Book trailers on the site range from classics such as Anna Karenina to Tina Fey’s Bossypants. According to user ratings, some of the current member favorites trailers for Emma Donaghue’s Frog Music, which utilizes a slideshow; Tim Winton’s Eyrie, a creepy live action trailer; and The One & Only by Emily Giffin. Without any live action filming, Giffin’s trailer represents what can be done with just a simple book cover animation, and blurbs. Tiffany Hawk’s Love Me Anyway: A Novel was published a year ago, but the book trailer ranks #1 on the site’s top ten list because of its darkly funny execution. “Book trailers vary in style and delivery from homemade to professional productions,” said Rosen. “They help provide an outlet for authors and publishers on a shoestring budget, and a platform for the seasoned bestsellers as well.” Once submissions are approved, they appear on BookReels free of charge. Members are offered a variety of free options on the site. With access to community pages, they can rate trailers, post comments and reviews, join discussion groups, and share BookReel discoveries through a variety of social media sites. On the Recommend a Reel page, members can also submit their own book-related videos. This entry was posted in Publishing and tagged author interviews, book trailers, bookreels, books, dan rosen on June 6, 2014 by First Edition Design Publishing.